petition: Animals Are Getting Hurt in Pranks — End Falconry Now! Animals Are Getting Hurt in Pranks — End Falconry Now! Animals are not entertainment. They should not be trotted out to spaces that stress them out for human amusement. 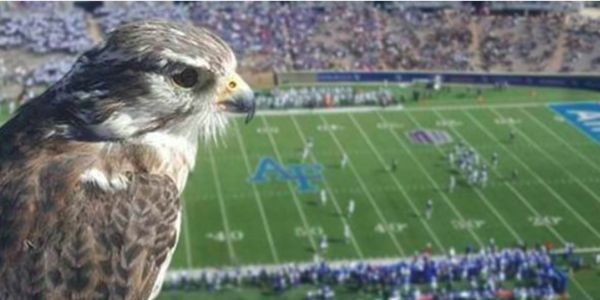 But that's just what happens at the Air Force Academy to falcons. In fact, the Air Force Academy has its own falconry. And recently, one of its falcons was injured in a "prank." Please sign the petition to ask the Air Force Academy to end their falconry program. Their official mascot, Aurora, is a 22-year-old white gyrfalcon, and she got hurt the other week because West Point cadets wanted to use her for a prank. She was kidnapped by someone who threw a sweatshirt over her and stuffed her in a dog crate. She injured her wings badly while trying to escape! It's not funny to put an innocent creature in the middle of school rivalries. But apparently this is not the first time something like this has happened. In fact, these pranks have been so heinous in the past. Someone even used chloroform on animals in the past. Potential abuse is just one reason why schools should not be keep captive animals at all, and especially not for use as a mascot. Sign the petition to ask the Air Force Academy to end their falconry program right now!